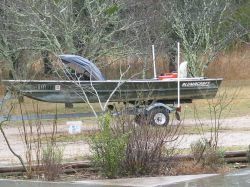 Stan, Truman and Edward took off early this morning to look at a fishing boat for the family. It evidently satisfied their requirements. 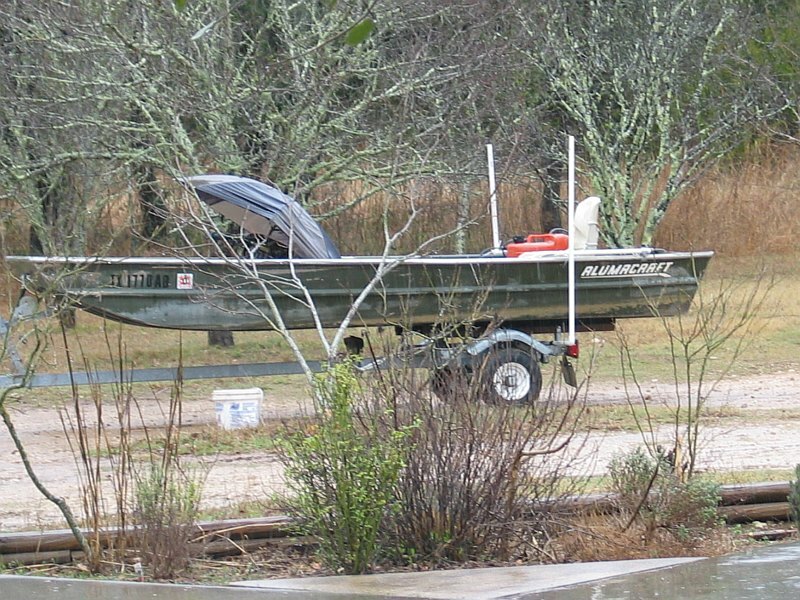 They came home with a 14′ John boat with a 5 horsepower Honda engine and trailer. The only drawback to it is that it is finally pouring down rain so they are going to have to wait a few days to try it out. The rain also put a damper on Tamara and Kathryn’s plane ride. This is the 3rd time we’ve had to cancel on account of the weather. The first two times the wind speeds were around 40 mph so we decided it would not be a good time to take a first ride in a small plane. We’ve rescheduled for next Thursday. I am not complaining, however, we have been needing rain for months around here. I hope it will continue to rain all day.